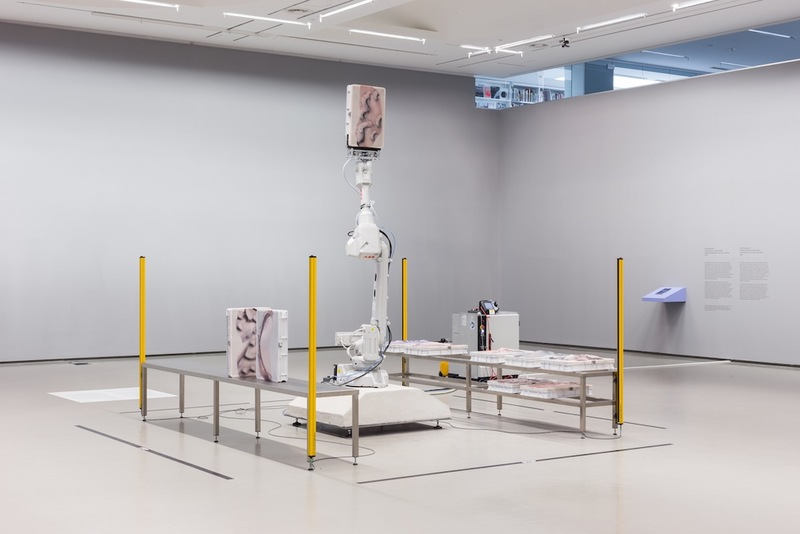 An industrial robot in the exhibition creates its own spatial and constantly changing exposition. 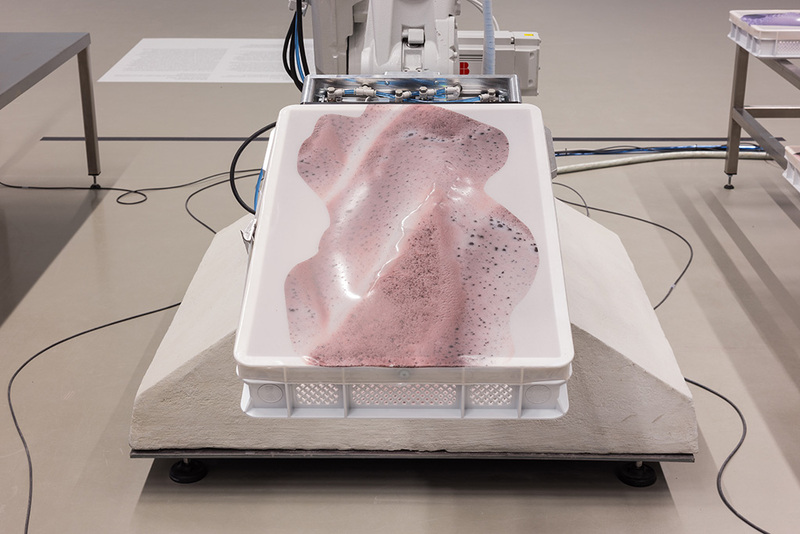 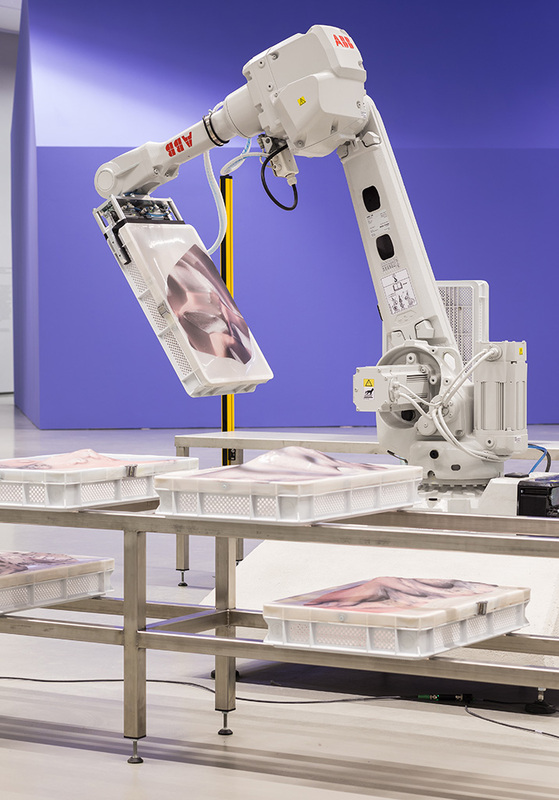 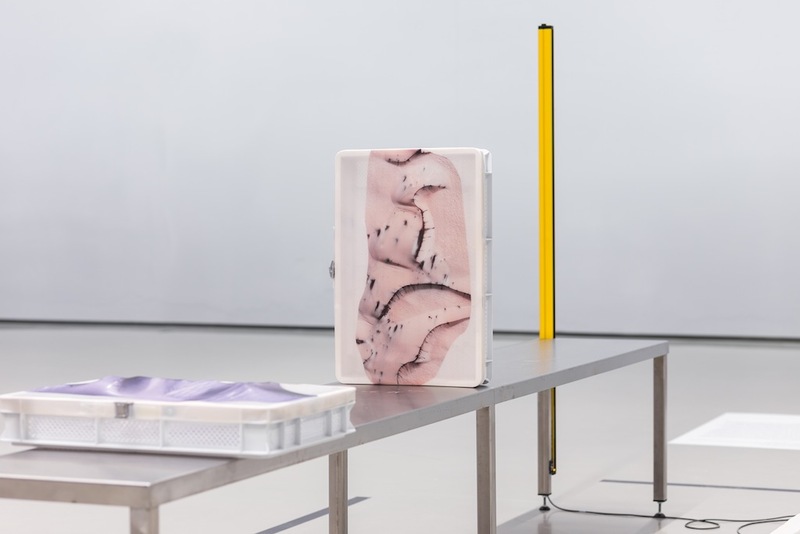 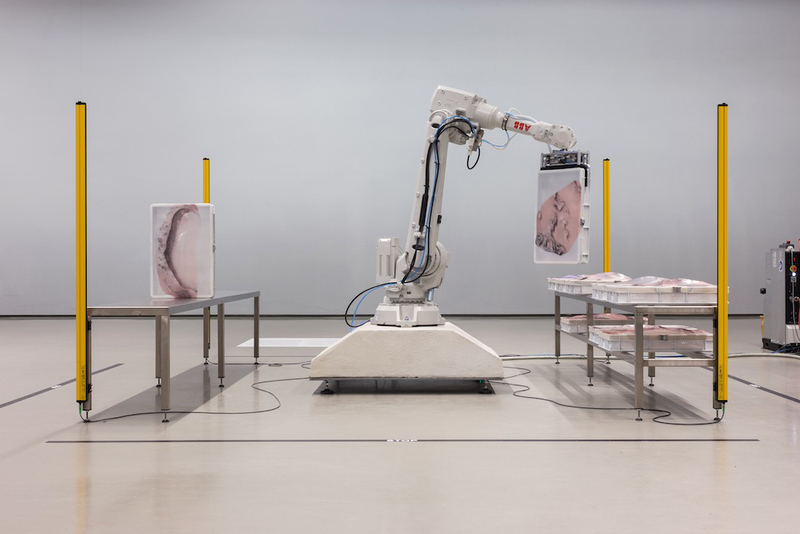 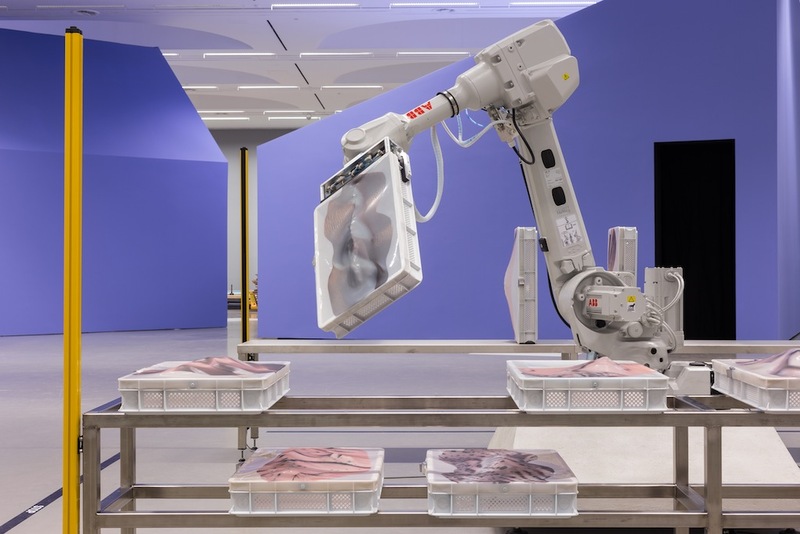 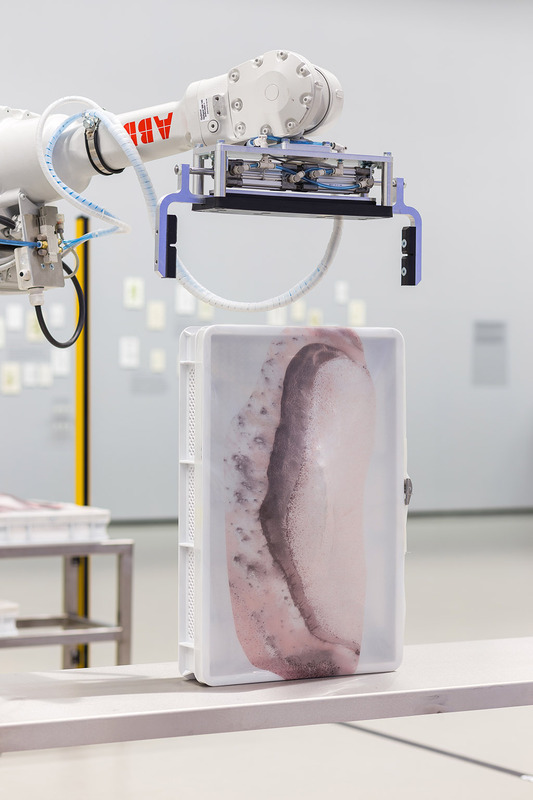 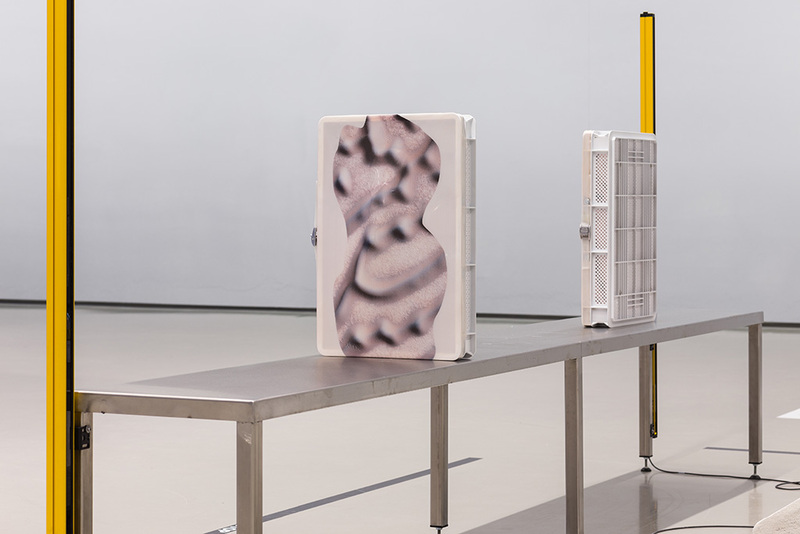 Humans – both artists themselves and the viewers – here become rather observers of the choreographic movements of the robot, which shifting around objects created specially by the artists. 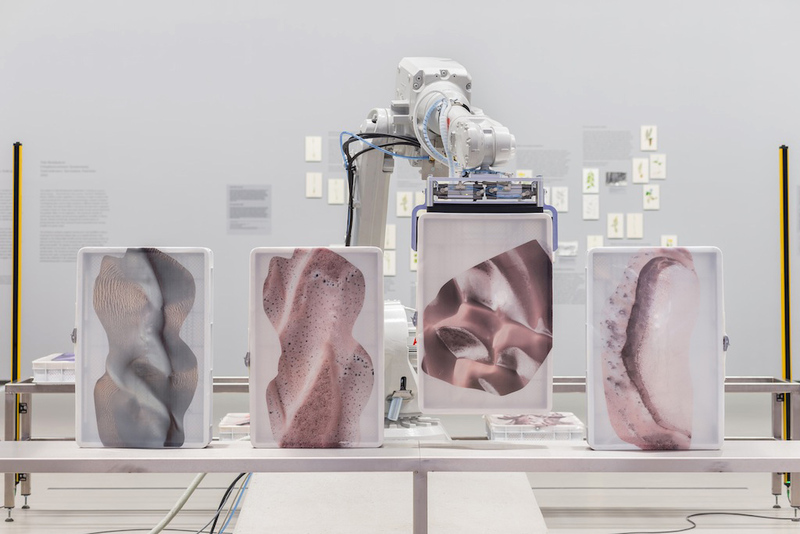 What resembles an industrial scenography at first glance becomes a stage for the dynamic interactions of the robot and the objects that blend the mechanized and the organic into inseparable bodies. 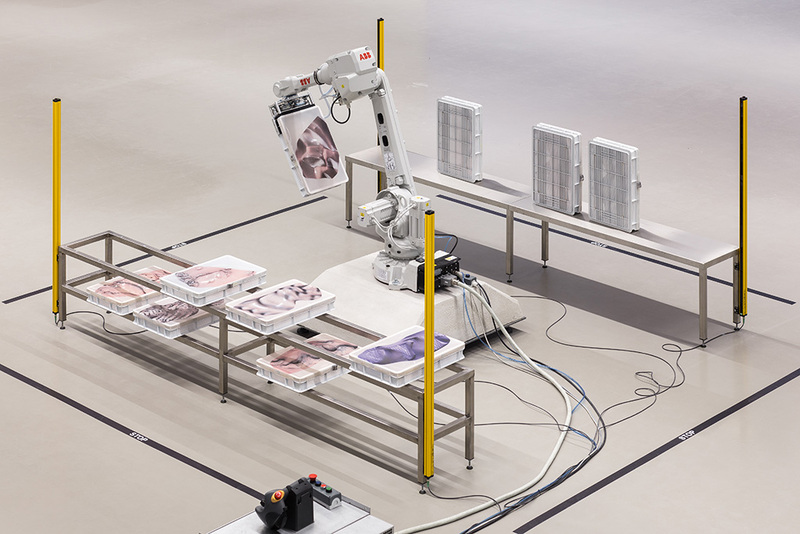 While observing this hypnotizing process, the motion trajectory of the robot starts to resemble a hesitant and pensive hand moving chess figures around the board.